Ah, there's nothing quite like adorable flats! 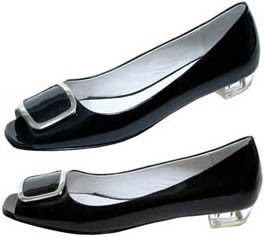 But when they're peep-toe with patent leather that's even better. These adorable peep-toes with buckle detailing can be bought at Dolce Vita's online store for $110.